Oven Roasted Brussels Sprouts are an easy side dish for your favorite weeknight meal and they’re delicious enough that everyone will be fighting over the last helping. 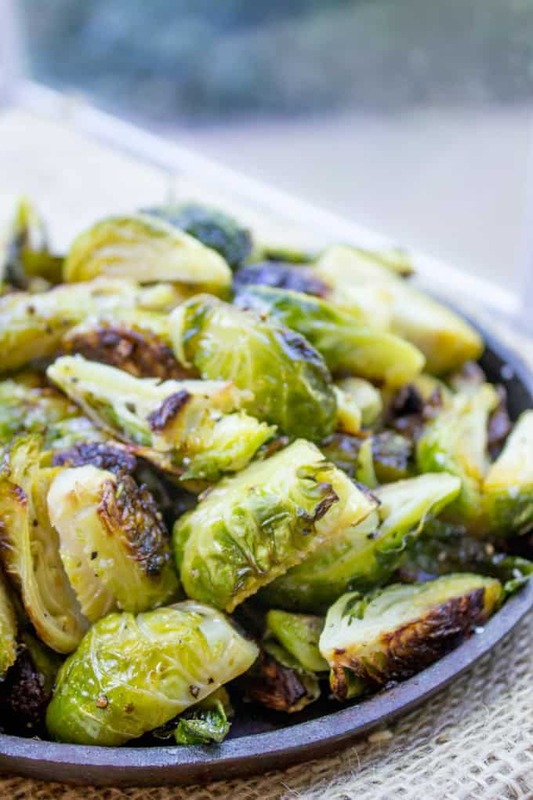 Oven Roasted Brussels Sprouts are my second favorite way to get everyone young and old to actually eat a green vegetable at dinner (first is roasted broccoli, which is one of my absolute favorite things!). So when the prices start coming down on Brussels Sprouts I stock up! Today’s post is a bit delayed because I am still totally under the weather. 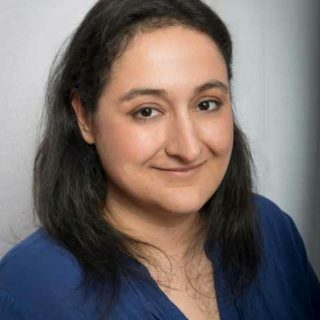 On Friday morning I posted how relieved I was for the weekend because I was so sick on Thursday and Friday… well the weekend was a downward spiral! I almost NEVER get sick, so the last five days has totally thrown me for a loop. Lots of resting and fluids and here we are on Monday morning and I’m wishing I had two more days to recover before my husband went back to the office and I was back on kid duty. So anyway, back to the recipe! I cut the Oven Roasted Brussels Sprouts into quarters because the Brussels Sprouts were quite compacted. That is to say the leaves on them had no room to breath. Usually when you cut one in half you’ll see a tiny bit of space between the leaves, this allows for them to roast and brown nicely, leaf by leaf. These were the opposite, they almost looked like a solid vegetable, so by quartering them I was able to give them more room to brown. You can play it by ear when you slice yours, but if you feel like the leaves are quite packed together, don’t hesitate to quarter them instead. You may lose a few exterior leaves when you do it, but you’ll be happier with the outcome. When roasting, I use a cookie sheet and a silicone spatula. If you use foil, you risk the Brussels Sprouts sticking to the foil and tearing no matter how much you grease the foil. I also used to use a plastic spatula, but found with silicone, having that bit of flexibility makes removing the veggies easier from the pan without tearing them. Those browned parts of the veggies are the best parts, you don’t want them left behind on your pan. Also, the one I linked to is a whole set of pieces, I use them for everything I need to scoop or scrape out of pans these days. Oven Roasted Brussels Sprouts are an easy side dish for your favorite weeknight meal and they're delicious enough that everyone will be fighting over the last helping. 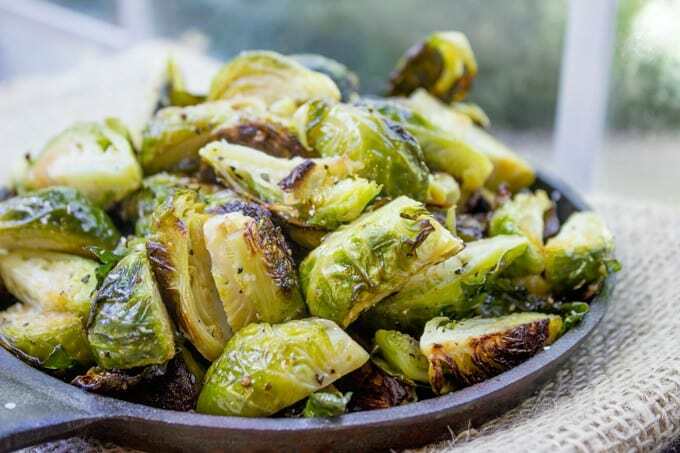 Toss the Brussels Sprouts in 2 tablespoons of olive oil, kosher salt and pepper and add to a cookie sheet. Roast for 15-18 minutes, or until caramelized. Brussels sprouts are one of my favorite vegetables too! 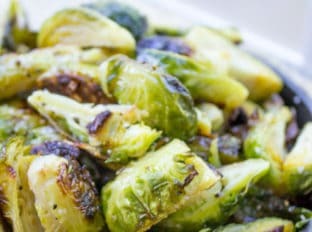 I recently started making Oven Roasted Brussels Sprouts and my husband loves them! I can’t wait to try this recipe! He’ll love these too! I hope your hubby enjoys it! 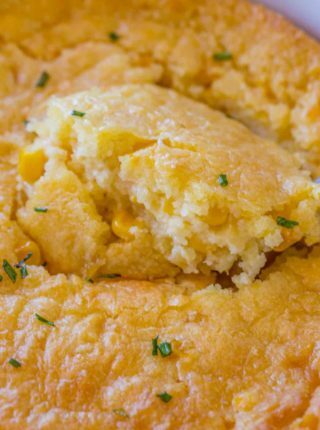 My husband is similarly enamored with this recipe! I love roasting Brussels sprouts. It’s my favorite way to make (and eat) them. BTW, hope you feel better soon. I’m sure that eating a big bowl of these would do wonders! I ate a lot of them, but sadly brussels sprouts do not cure all! Hopefully, I’m on the road to recovery now! I have a confession: I am not a fan of brussels sprouts. I know, I know. But many of our friends are, so I am always trying to get myself to make them for others folks. I love the simplicity of this recipe–nothing to hide behind. Maybe that’s the key I’ve been looking for! 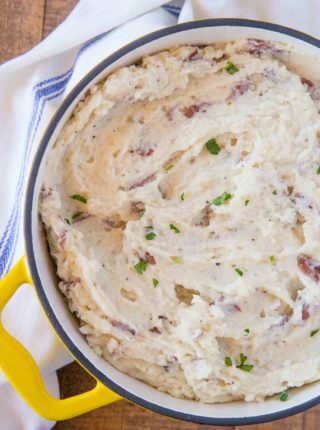 I hope this recipe finally turns it around for you! These looks delicious and perfectly charred! Yes! Just that little bit of caramelization is what puts it over the top! 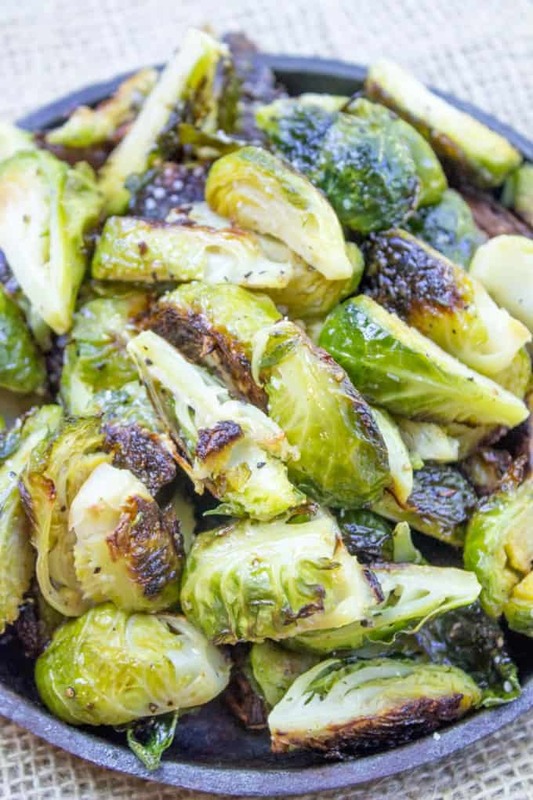 We love oven roasted sprouts. They’re so yummy. Something about roasting veggies just makes them pop. I love your photos, they make me want to reach into the screen and snag a few!! Thanks, Kim! I’ve really been working to improve my photography! These brussels sprouts are top notch! I want to devour them! 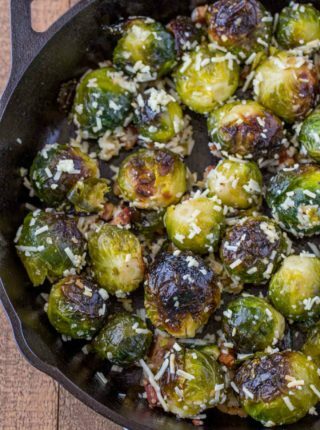 These Brussels Sprouts look like the BEST THING EVER. Thank You for sharing. 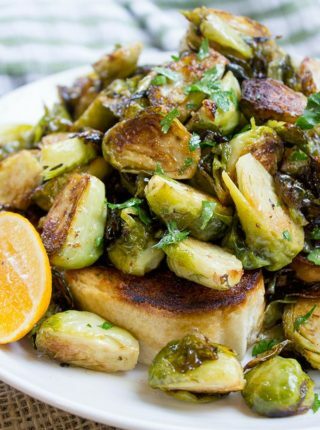 This will turn anyone into a Brussels sprout lover! My six year old daughter LOVES brussels sprouts and this is the method I usually use too, although I have never finished it off with some lemon so I will give that a try next time! Thanks Sabrina for yr recipe’s they sound great. I hope you feel better soon. God Bless !! !